We've gathered a team of passionate chefs with extensive experience in Thai cooking. Their creations reflects their own culinary influences and personal experiences with Thai cuisine. Read their stories and savor their dishes. 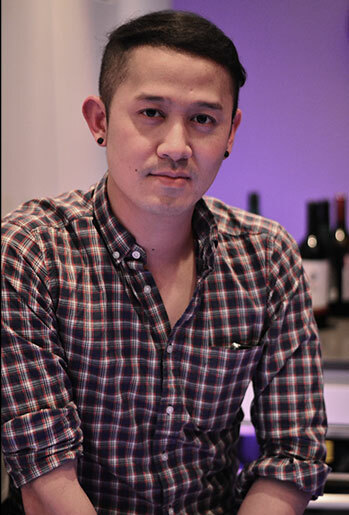 Hailing from a very large family of Thai restaurateurs with establishments from Northern Thailand to Bangkok, it was nearly inevitable that Chef Chuck was destined for a career in culinary arts. Growing up in Thailand, Chef Chuck dreaded being dragged to the food market early in the morning by his Grandmother, but he accompanied her every time and it was there she taught him how to pick out the best ingredients – the most fragrant herbs and spices, the sweetest tropical fruits and the shiny, thin skinned limes that would yield the most tart juices. It becomes increasingly clear that Grandmother’s persistence helped to cultivate a strong connection to Thai cuisine. Chef Chuck values the integrity of the ingredients he uses and the food he cooks from classical Thai dishes to more nuanced and refined interpretations. His food is bold and delicious, balanced and interesting and our gratitude for his Grandmother is everlasting – we cannot wait for you to sample his menus and agree! In his spare time, Chef Chuck hangs out with other busy NYC chefs, enjoys running (yuck!) and is currently undertaking Ninja training in Manhattan.